In some occasions, you might have to change the DNS server on your PC. You might have to switch to Google or Open DNS. 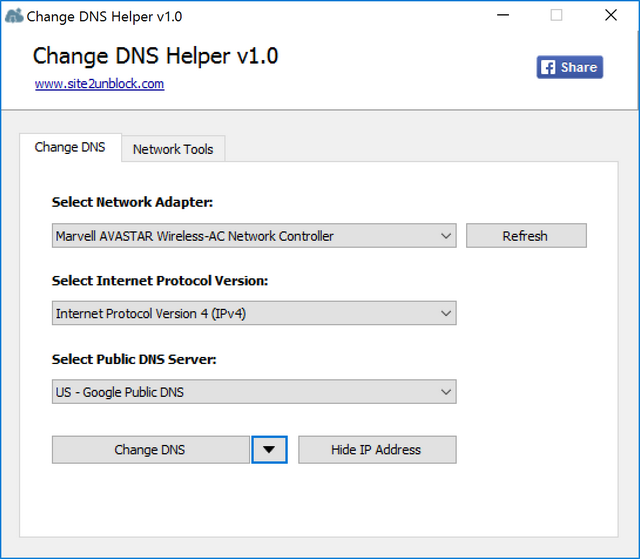 DNS Helper is a simple freeware tool to quickly change the DNS server on your Windows. When you run the app, you can select the network adaptor and then select the protocol (IPv4 or IPv6). You can then select the DNS server you want to change to. The app supports Google Public DNS, Comodo Secure DNS, Norton ConnectSafe, Yandex.DNS, OpenDNS and many more. You can also reset the DNS server, backup and also restore the server details. This program works on Windows XP, Vista, 7, 8, 8.1 and Windows 10 (32\64-bit).